Good morning everyone. Essentially, what we are talking about today seems like a utopia. But alongside those 17 objectives are 169, clear, sub-objectives, or “targets“: drastically reducing the number of NEET, young people who neither work nor study, by 2020. This was the focus of the Italian government in September 2015. It can seem difficult, and it is, but it is not impossible. Other countries have done it. As we heard not long ago, we want to protect the future but really, change the present, now. This is why, in September 2015, the major global powers decided to change what doesn’t work; a planet made up of poverty, of inequality, of lack of energy, but also made up of excess. Think about it: 1.5 billion people receive just 5% of the global GDP, whilst half a billion people, the richest of us, posses 90% of the global wealth. There are 800 million malnourished people, compared to 600 million obese. Basically, there are many problems, and the major global powers, basing their actions on science – because it’s still appropriate to base opinions on science and not just hear-say – made a historic decision after 2 years of negotiation. The 17 objectives and 169 targets were negotiated on by all countries on the Earth. A long process with good intentions: ending with a series of items that could be completely banned. To do so, both approach and mentality needed to be changed. Here are the 17 goals, to be memorised. I’m nearly there, after a year – some seem to be the same but by no means are they. We have indeed understood that sustainable development is not just an environmental issue, but one of social, economic and institutional themes: think of the election fear in some European countries, how it could have crumbled our institutions. Participation, because if we don’t do something as individuals, no one will do it for us. Why did we start off with inequality? What you see there are targets, very tangible targets, which in 2015 the Italian government committed itself to. If we look at them we understand that there are some fundamental points: for example the inequality of opportunity which, as a result, cannot be eliminated but can be reduced. Yet still, another fundamental element is the battle against inequality through fiscal, economic and social policies. Another objective is target number 5, dedicated to gender inequality: just as unpleasant and horrible, because in some cases it brings about physical violence. All countries, including those less susceptible, have committed to aiming in this direction regarding such topics. We understand, then, that we can be more pragmatic: we must be more pragmatic, because it is through this that we move to sustainability, in all senses of the word. And still, not everyone thinks this way. Some think that talking about redistribution, poverty, sustainability, rights, means talking small-talk. That what counts is making the economy, the famous GDP, grow. This is true. 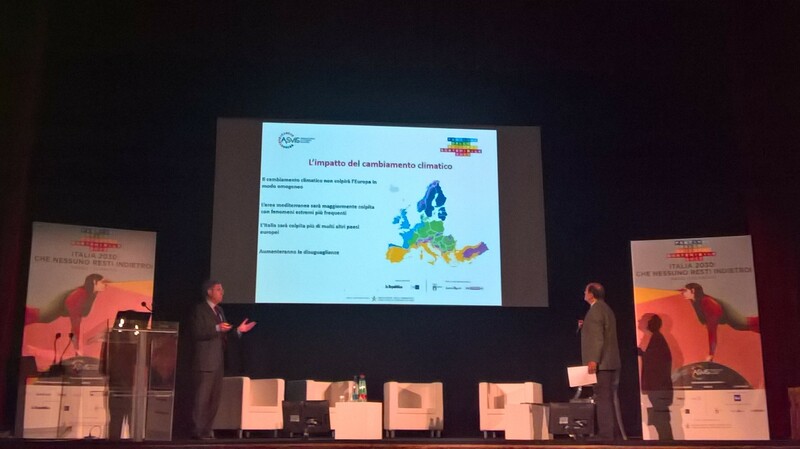 But let us look at the forecasts for Italy from now until 2024 by Prometeia. Forecasts that economists systematically get wrong but can definitely help us to understand: our country will grow 1% per year. The unemployment rate will remain around 10%, as shown also by the Economic and Finance Document from the Italian Government. Yet still, disposable income will rise slightly, but real per capita compensation will fall. This is to say: inequality will rise. Forecasts made for other European countries are not that different. This is what the OECD (Organisation for Economic Co-operation and Development) has said for many years. There are profound dynamics within society, in the world, that slow down economic growth. Thus, the idea that the growth paradigm resolves all problems does not work. That isn’t to say that it should be abandoned in favour of the famous happy degrowths, as that is not what we are talking about. We are talking about trying to reach those profound phenomena that also create a barrier to growth. It’s always the OCED that says it: at this point, inequality slows down economic growth and if we ignore it, inequality will just widen. This is why sustainability is not a purely environmental issue: according to forecasts, around inequality of earnings will come other inequalities. With all this, we need to add in climate change. This is a chart taken from the European Environmental Agency that states that not all European nations will be affected in the same way: the Mediterranean area will be harder hit, Italy even more so. There will be winners and losers when it comes to climate change. In fact, it’s obvious that some regions will be able to, with more heat and the absence of snow, cultivate what we do now. Therefore, you can see that even climate change has, and will in the future have, an impact on inequality. Still, we can prepare ourselves, and in the same way, we can prepare for the problems linked to climate change regarding water: that there will be shortages. According to forecasts, there will be serious problems in the world – and in particular within our borders – such as that migration will become an issue linked to this phenomenon. 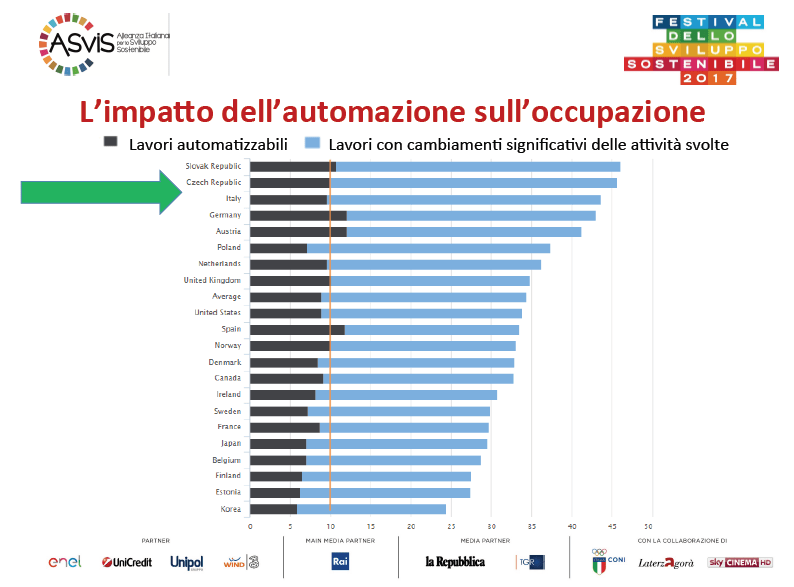 We do not need to concentrate on the left-hand side, as much as on the right-hand side – the side that indicates jobs that will not disappear completely but that will be completely redesigned: between now and 2025, Italy is the 3rd most exposed country to this huge change compared to the other OCED countries. Before, someone spoke about human capital: if we do not invest in human capital, we will not be able to make this transition. According to forecasts by the European Commission, future unemployment by qualification will be essentially inexistent for graduates or those with a high level of education but very high for those with little to no qualification: it is here that the concept of human capital strongly enters the debate. Here is the change in paradigm that is needed: we must understand that the waste culture, as labelled by Pope Francis, applies to people and things: what will that culture do if in some years, according to some research, the weight of plastic in the seas will overtake that of the weight of fish. That same culture will throw away people. 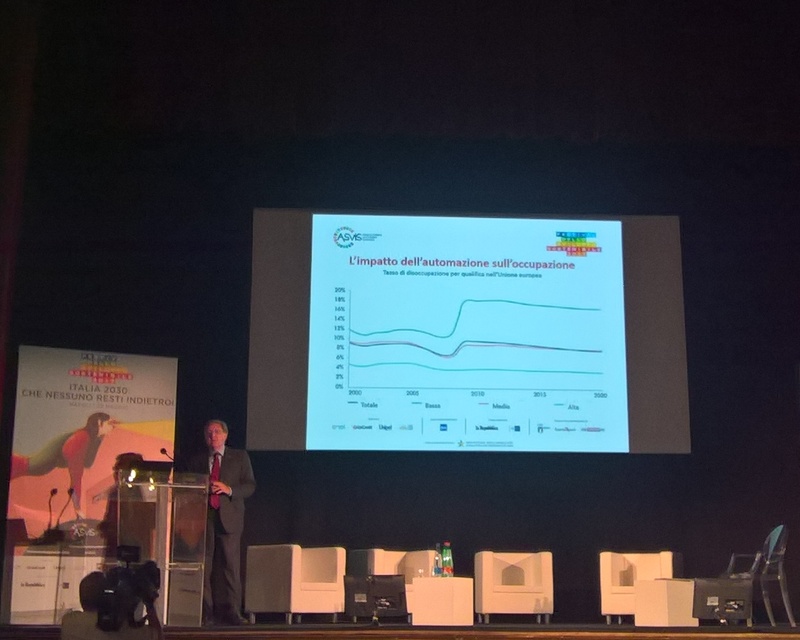 Italy is not on track to be sustainable: a fact found evident by a September 2016 ASviS report, alongside being confirmed by the government’s Environment Ministry analyses. These analyses tell us that we can change various things in the short term, but in some cases, we lack fundamental strategies. The strategy for energy is in preparation, but often does not have an organised vision, leading us to make some proposals, including institutional ones, to the government. Things can be done by learning from others. We have made various proposals around 7 axels to do with human capital, natural capital, social capital and, naturally, fiscal capital: infrastructure. These are things that can be done – other countries do them. Why can’t we? Naturally, we must be reasonable. We must behave based on flow and stock. Every new item must begin to go in such direction and in the meantime, we can reconvert what we distorted. But, everything new must go in the said direction. Today we have chosen to dedicate ourselves to 4 main themes: Education and Culture, Entrepreneurship and Innovation, Nutrition and Health, and Work and Welfare. I’m just going to add in a bit of information on these aspects to tie up the themes talked about today. Seeing the percentage of students that, according to the PISA test, at 15 years of age do not reach the minimum level of education, we realise that, even though we are getting better, what really matters is the difference between the rich and the poor. There is nearly 30 points difference between the possibility of acquiring skills and not even coming close. This is clearly the effect of the economic crisis, that has an effect on education and school dropout. As a matter of fact, data on school dropouts for Italian youths and those that we continue to call foreigners (that will most likely make up a huge part of our workforce in the future, and that will most likely be impacted by the changes we have talked about) is clear: children of immigrants have a 31% school dropout rate. There is also data that suggests the difference between children that go to pre-school and those who do not, that the latter have more chance of not acquiring skills by the age of 15: we know how much we lack pre-schools, especially in some regions. We must also take into consideration the difference between the life expectancy of graduates versus those who do not even have a primary school diploma: a good 5 years difference. This is the relationship between education and health: that is to say, different lifestyles and different nutritional tendencies. 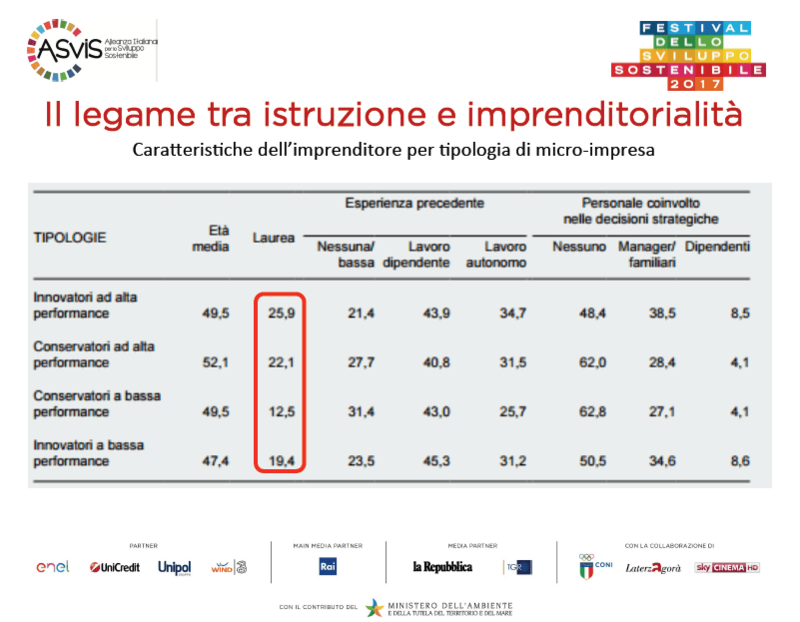 Another difference is the rate of success of small enterprises run but graduates versus those run by non-graduates: this gives us the idea of how much a degree, as an indicator of the ability of the businessman running a small business, becomes an indication of how much a business may be innovative or secure. Obviously, the difference in income and the exposure to poverty must not be forgotten. Therefore, if we discuss these limits in a comprehensive way, we can understand why inequality doesn’t regard a singular component, but covers all aspects. 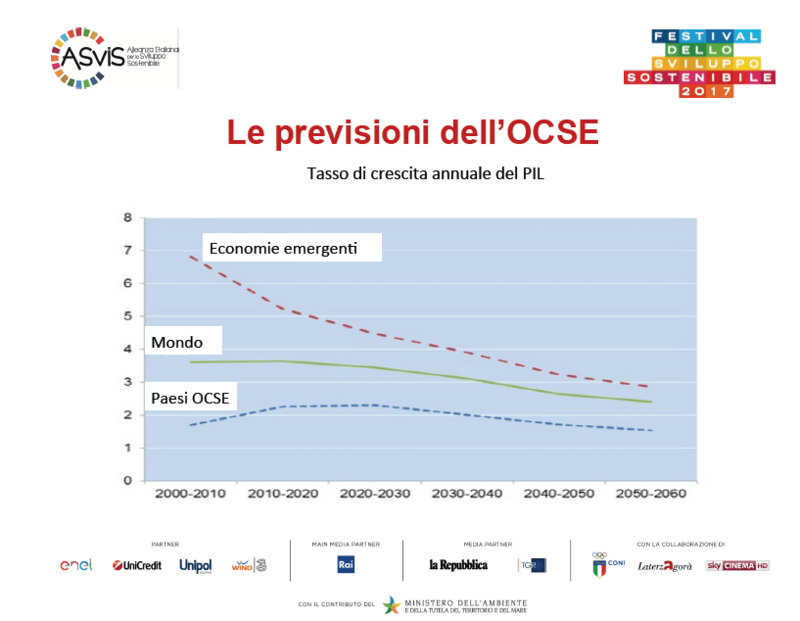 One last, extremely important factor is the rate of poverty at certain ages compared to average poverty: The curve in Italy is radically inverted and poverty for young people and adults has risen. This is a profound change: poverty is not just the lack of income, but also of possibility. 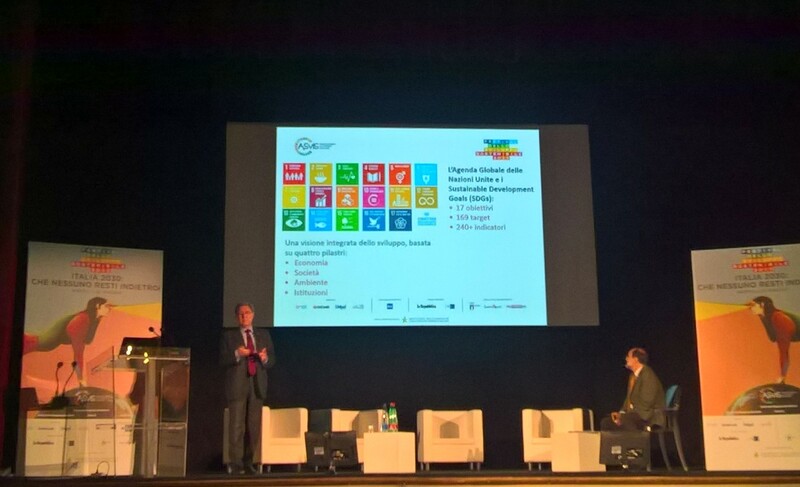 Speech by Professor Enrico Giovannini, Spokesperson for ASviS, held for the opening of the 2017 Sustainable Development Festival, “Italia 2030: che nessuno resti indietro! 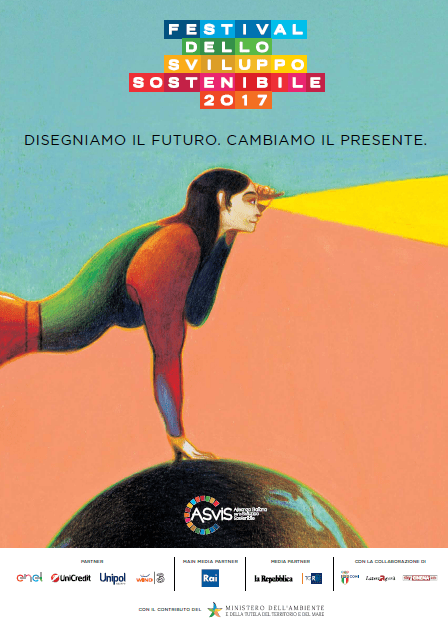 Ridurre le disuguaglianze di tutti i tipi, per tutte e per tutti, a tutte le età“, on the 22nd May 2017 at the Teatrino di Corte, Palazzo Reale Di Napoli and organised by the Alleanza Italiana per lo Sviluppo Sostenible. The Center for Economic Development & Social Change (CED), as an ASviS member, was present at the event. 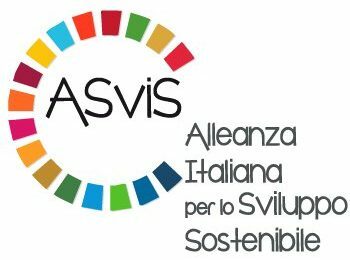 Source: Alleanza Italiana per lo Sviluppo Sostenibile – ASvis.